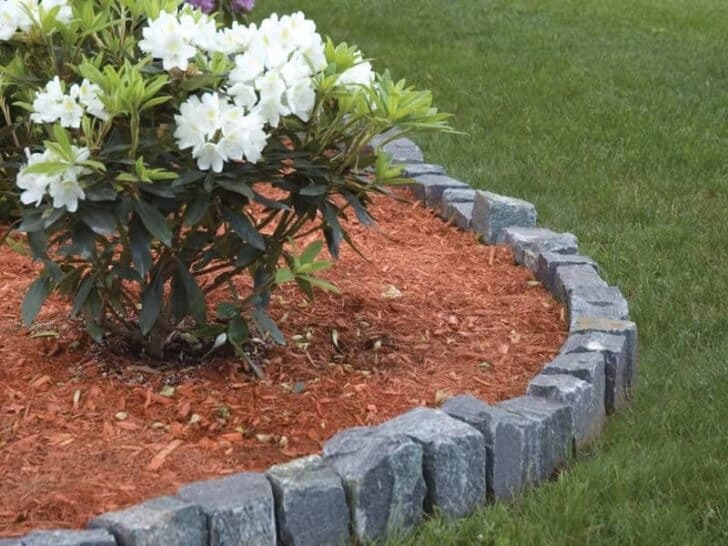 You want to flower bed edging in your garden but you don't know how to do it? 1001Gardens has met with garden professionals to enlighten you. Discover the 7 key points of the creation of flower bed borders, the massif, as well as their maintenance. 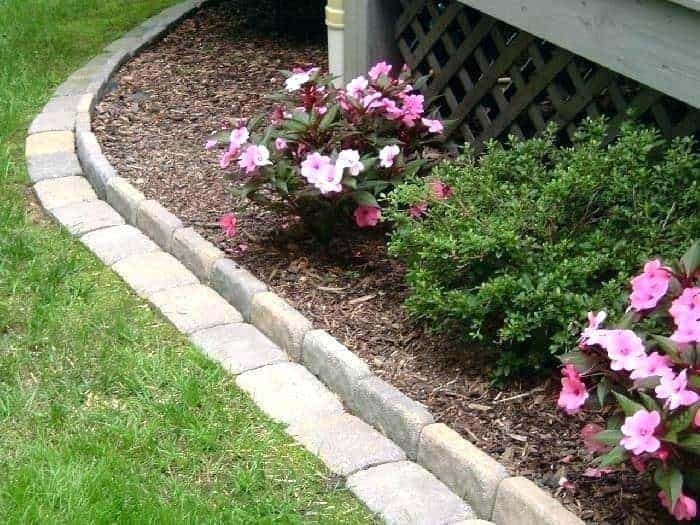 When we speak of flower bed edging, we mean the boundary between the flower bed and the lawn. It is a question of highlighting a separation between the grass and what is beyond. 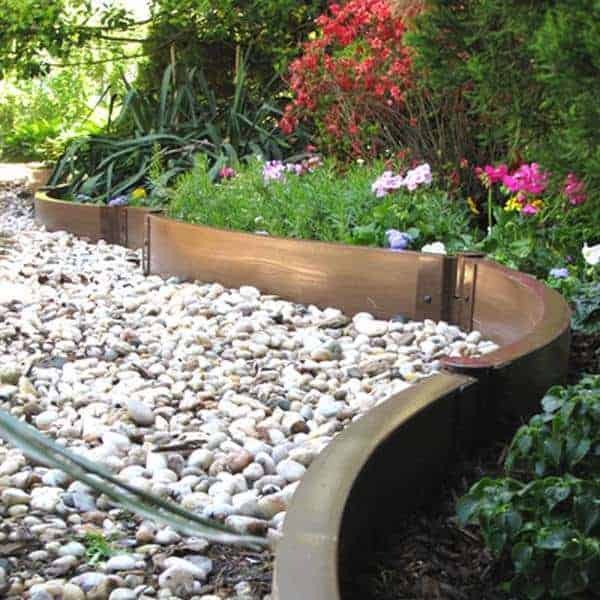 When you want to create borders in your green space, we advise you to start by knowing what type you want to install: a natural or construction rocks. 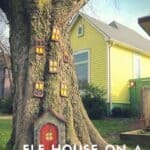 Will the edge boundaries be laid or masonry? If foundations are installed, the size of the borders and their use will be different. 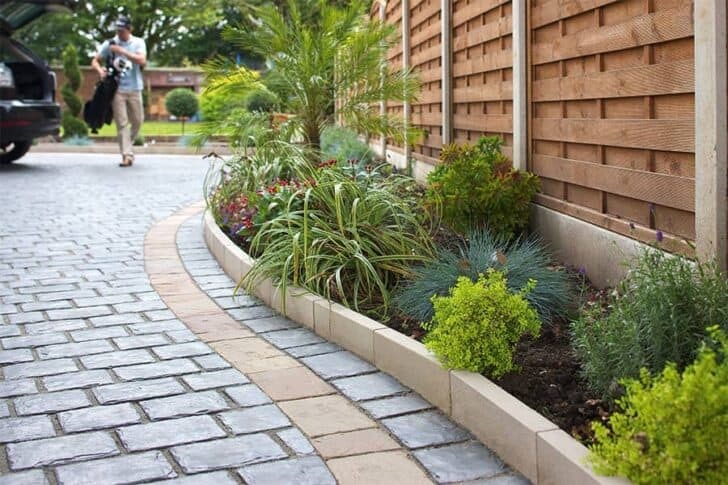 Easily select the garden border best suited to your needs, taking into account the design of your exterior. Would you rather create a modern or rustic atmosphere? Vintage or industrial? The style of decoration of your green space will give you clues on the materials to be preferred for your garden borders. Once the border type has been selected, it is time to determine the use of its borders. Do we want a long implantation? Curves? What do we want in the back? Depending on the answers, the process of creating garden borders is not the same. 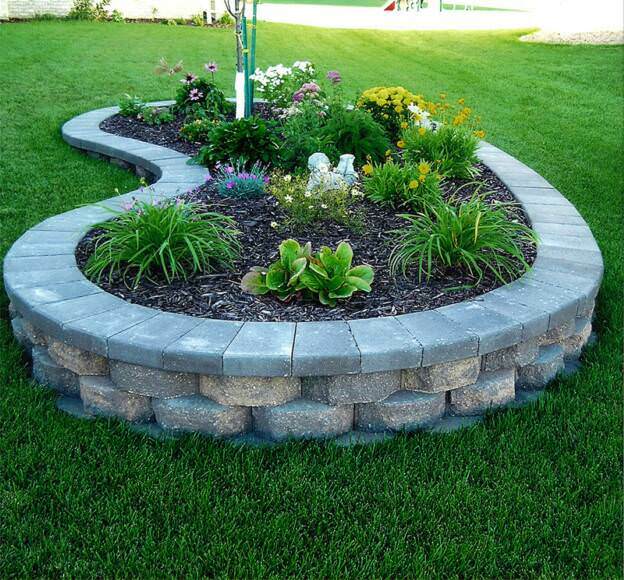 Outside edges are also installed to prevent weeds and to facilitate lawn and plant maintenance. The ideal model of such an element should easily fit into the decoration of your garden, be both simple to set up and durable. 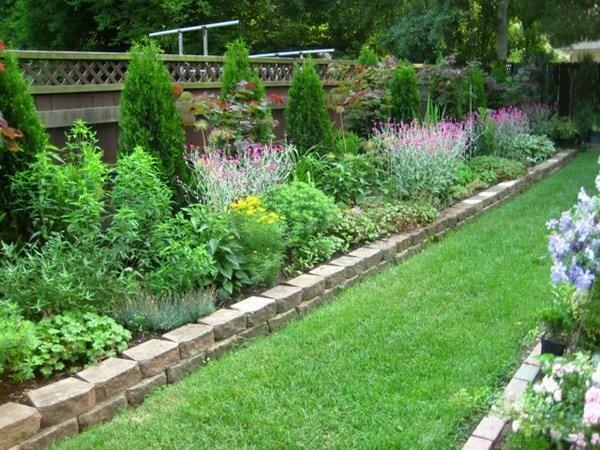 When we put laid out garden borders, it is quite simple because they often have stakes and be planted easily. All you need is a mallet and a spirit level. The posts are installed every two meters by driving them 20 - 30 cm into the ground. For masonry curbs, a small trench must be created to create a foundation. 20 - 40 cm of concrete are required. If you go beyond that, it is better to call in a professional. ps: Avoid edges treated with chemical materials as much as possible. Plants on the ground outside, these garden elements can have harmful effects on your fruits and vegetables. Not to mention that these effects may even affect your health! Defining the size of your massif behind garden borders is not easy. "It doesn't have to be huge and you have to create harmony in the garden," the larger the border, the more maintenance there is, something you have to pay attention to before you start. Planning your outdoor borders also means taking into account the plants delimited by them. Some plants do not like areas that lack sunshine; others prefer the shady parts of the garden. Don't forget to take these plant specificities into consideration when planning your garden borders. 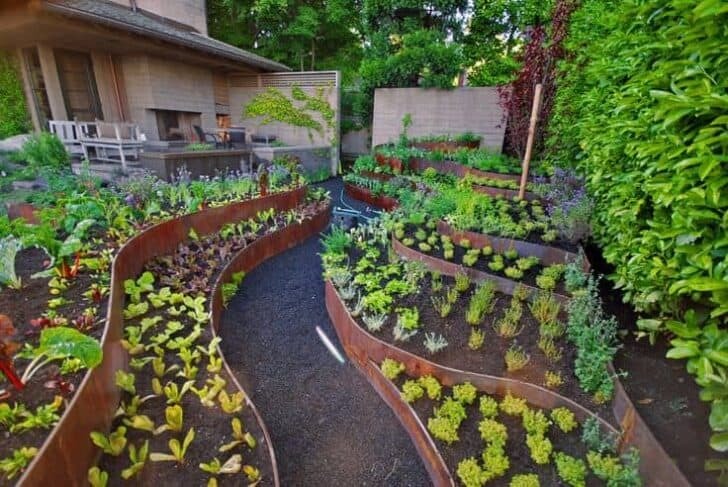 The plants are chosen according to the exposure you have at your garden borders and the nature of the soil. Choose plants adapted to the soil and climate of the region, taking into account the volume that the plants will take in adulthood. Position the tall plants at the back, the half-height plants in the middle and the low plants on the front of the bed. Combine spring, summer and fall flowering plants to enjoy a flowered lawn all year round. Clean and loosen the soil to a depth of about 30 cm. Respect the indications of the packaging, each variety having a period and a distance of plantation, as well as an exposure favorable to its development. If the soil is dry, soak the root ball in water for a few minutes before planting. If the soil is clayey or too compact, mix sand with the soil and place a bed of clay beads at the bottom of the planting holes to facilitate drainage. As a general rule, perennials/persistent shrubs are practical at the edges to avoid having to pick up leaves. Choose 3-4 perennials and few annual flowers. 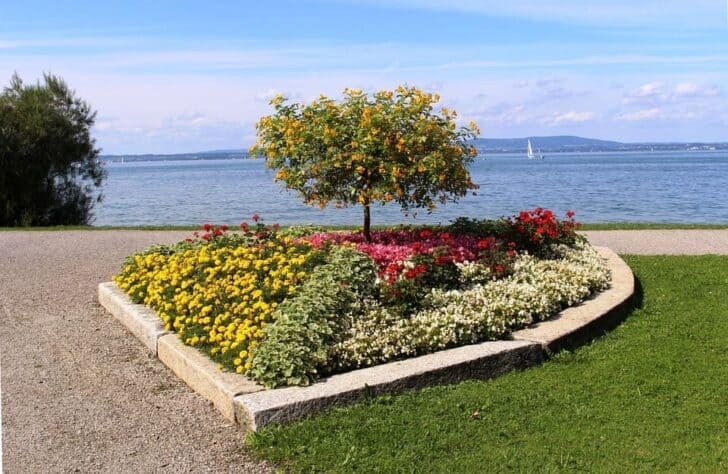 Close to the demarcation of the lawn, we recommend planting perennials such as bellflowers, saplings, periwinkle... It is a question of dressing the garden border. In the second line, the landscape gardener advises planting a plant of a different color, high and not creeping so as not to fall back on the first line. For the third, grasses, always of different colors, to bring height like sedges, fescue. Finally, towards the bottom, some persistent shrubs, which make the green of the massif as the photinia, the viburnum tinus (winter flowering), the labelia, or the charcoal. Mulching can be interesting for garden borders. This limits water evaporation and keeps the soil cool. Another utility, the mulch - name given to the material which covers the ground - makes it possible to weed less often and more easily. 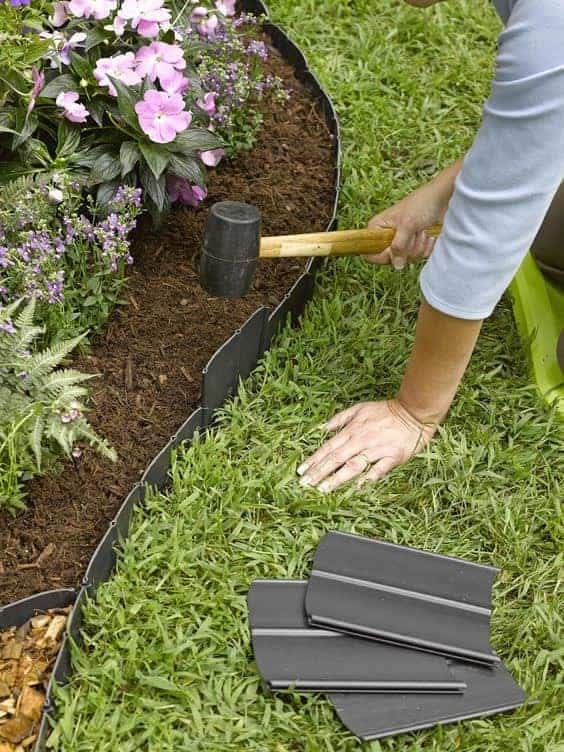 In terms of mulching, depending on what style you want, you have two options: vegetable mulch (hemp, bark for example) or mineral mulch (crushed volcanic rock or slate straw). Garden borders require regular maintenance. There are no rules as to when you want to create it, except to "avoid winter because the soil is too hard" and "the heat because the plants will not be able to take root". At least twice a month, you should think about weeding your borders; every week in the spring. Watering is also an important step not to be missed for garden borders, up to 2 to 3 times a week in summer. "It is better to spend a little time there every day or week rather than long and tedious sessions". As for trends, we observe a wave of galvanized steel edges. 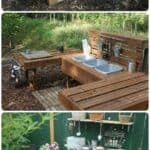 These products imitate the chic of English gardens and are more durable than wooden logs. 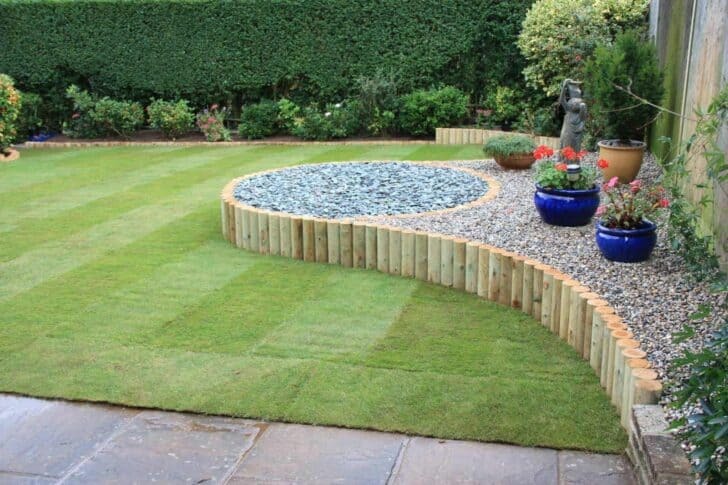 Of course, the choice of materials and a garden border idea also depends on your budget. Natural stone and wrought iron will certainly contribute to the beauty of your garden. But these materials are also more expensive. We also see an increase in "doing things yourself" in gardening. More and more budding gardeners are creating their own seedlings instead of buying plants that are already growing. This allows an easier exchange of seeds with other enthusiasts and a wide choice of different plant varieties. Also observing a new wave of decoration in the garden beds: vegetables. Putting a few plants of this type of plants can bring color. Cherry tomatoes, pears, blackcurrants, raspberries, artichokes and aromatic plants now find their place in our garden beds. The first group we will examine is that of borders made of natural materials. It is composed of the plants themselves, the stones, the wood and the straw which can be used as instruments of delimitation of various zones inside your garden. The main advantage of these models is, of course, the fact that they are natural and fit perfectly in all outdoor settings. Plants, flowers, grasses and small bushes can very well separate two parts of your garden without requiring much care. As for stones and pebbles, this is a very common type of border. 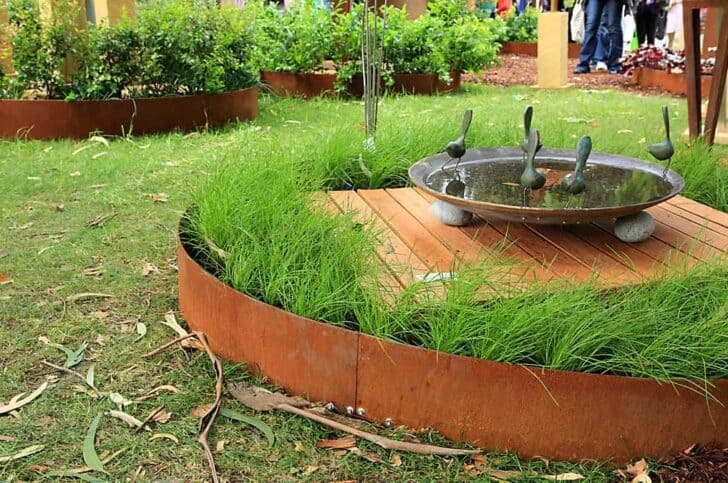 It is used not only for lawns but also for water basins and gardens with Zen style gravel. In terms of garden maintenance and outdoor borders, wood will require a little more effort than other materials. Concrete and bricks are known for their strength; however, they will take longer to place. 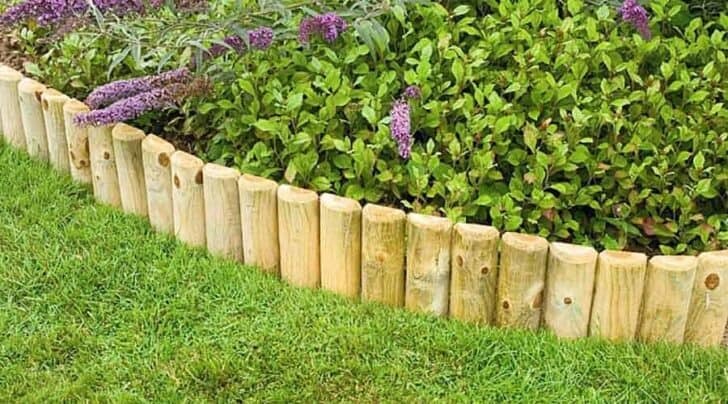 Wooden borders are among the oldest and most loved by gardeners. Natural and easy to install, they adapt to any decor, at the same time as they have the ability to enrich the soil. Only downside of wooden edges: it is more exposed to mold and attacks from various insects than other materials. Second, there are curbs made of artificial materials such as metal, plastic, brick, and concrete. These accessories are available in many variants. They bring different finishes to the outdoor space, blending or contrasting with the garden decoration. Metal curbs are popular with many homeowners because they take a variety of shapes and are extremely durable. Those made of plastic are economical; they are a good option for those with a small budget. Their major disadvantage: they do not resist changes in temperature well and can be damaged if exposed to a severe climate. Brick and concrete curbs are available in a wide variety of shapes and colors. We like them because they delimit the outside space well and they can be used for areas with original shapes. Here is some essential information about the most common garden borders on the market today. 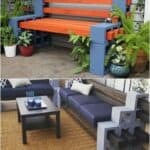 And if you still need a little help selecting the best product for your outdoor, we have some tips to share with you. They are yours to discover in the following section!